AK 3 | Alaskan at Last! One of my favorite past times since moving to Talkeetna has been to regularly view the Alaska Range in general and Denali in particular. 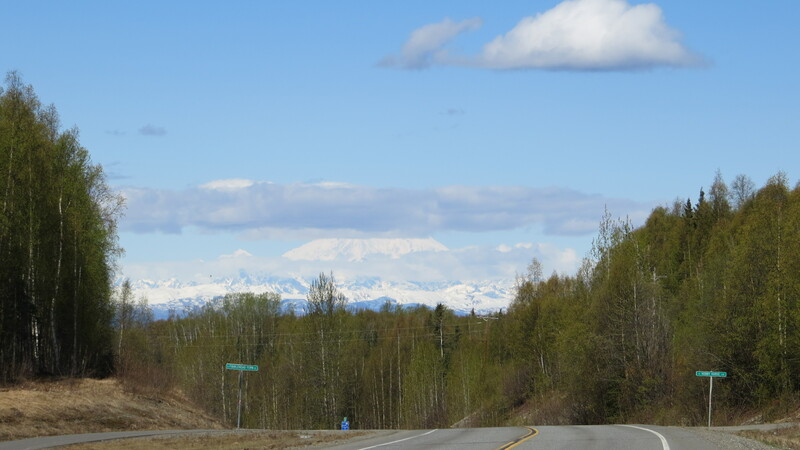 In this blog I’ve shared images of ‘the big three’ (Mount Foraker @ 17,400 feet, Mount Hunter at 14,700 feet and Denali @ 20,237 feet) as a group and as individuals. 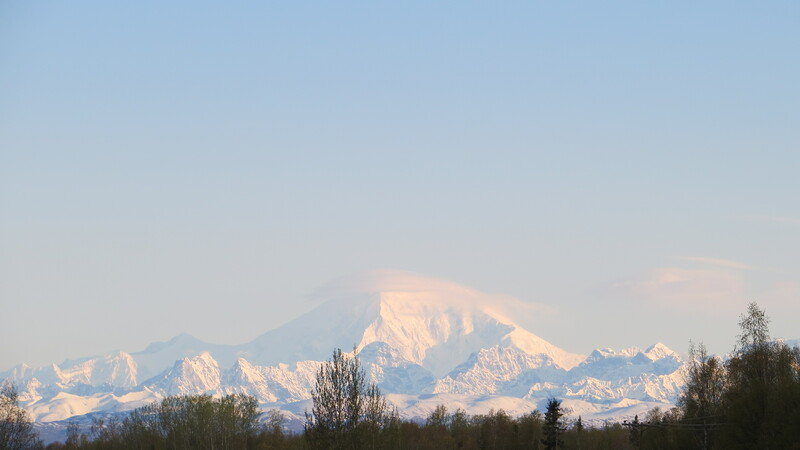 While all are impressive Denali remains my favorite for its sheer size; it’s just so ‘Alaskan’! Throughout most of the late fall and winter the mountains were visible mainly on clear days as just snow-covered peaks. Of late, however, there’s been warmer air that’s carried more moisture aloft and that has translated into more clouds of the layered kind as versed with the just plain thick cloud cover which obscures the range. The following are a couple of images taken last week of ‘the Mountain’ adorned with some interesting cloud formations. I’d love to see a lenticular cloud crowning Denali’s majestic peaks – there are both a north and south peak with the north being the highest – but I suspect such a situation would be extremely rare as the winds that blow around the peak are generally very strong and would most likely shred any large lenticular cloud. However, I am an avid Denali watcher and hope to some day catch such an event.